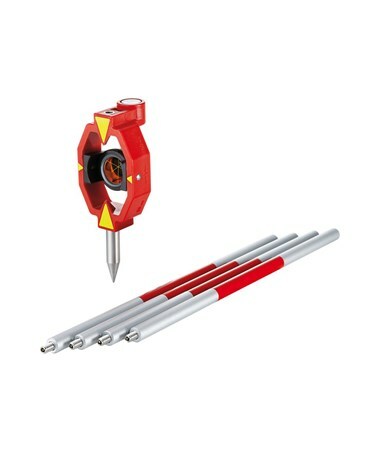 The Leica GMP Basic Series Mini Prism is a perfect tool for close-range applications with total stations. This prism is mounted on polymer holder with a ¼-inch thread to fit on to most stands and tripods. This mini prism has a constant that is either +17.5 millimeters or zero. It also has a range of 7,000 feet or 2,000 meters and a circular bubble to help in the total station's alignment when being used. The Leica basic mini prism is made of the highest quality glass and furnished with optical coatings. The holder and housing are made of fiber-reinforced red polymer. It is built durably to withstand the most extreme environmental conditions and to last a long lifetime. 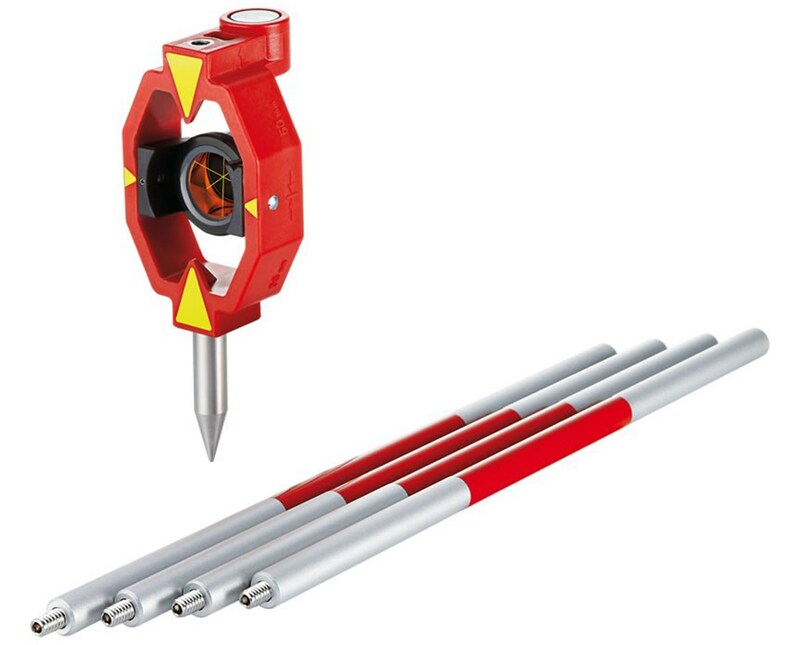 This package also includes a four-section pole-and-point that perfectly complements the prism. The Leica GMP Basic Series Mini Prism is available in different constant types. Please select your preference from the menu above.